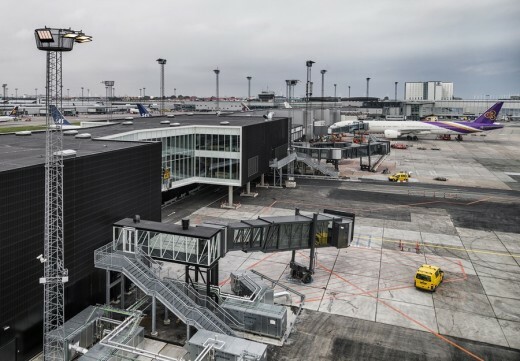 28 October 2015 marked the official opening of the expansion of Pier C in Copenhagen Airport, becoming key for the airport’s growth strategy for non-European and long-haul traffic, making room for the world’s largest passenger airliner – the Airbus A380. 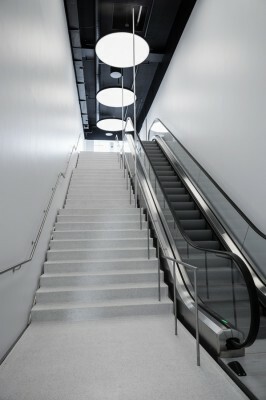 schmidt hammer lassen architects have designed the 6,300 sqm expansion which houses three new gates and lounges. It offers a new interpretation of the existing airport design, innovation of passenger flow and logistics, where the principle of ‘nudging’ has played an important role. 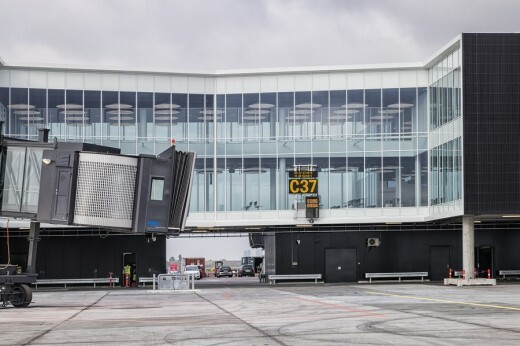 Schmidt Hammer Lassen won the competition to design the expansion of Copenhagen Airport Pier C in 2013 in cooperation with consulting engineers MOE. To create the best possible environment for servicing of the planes it required a building with minimum pillars and very large spans. “We have challenged the traditional gate design by designing the building in a butterfly shape. 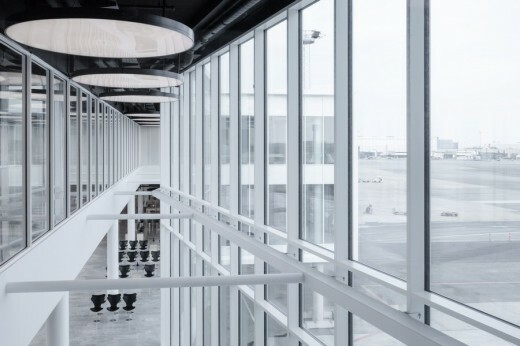 The black rectangular two-storey building has cut-ins in both sides, which leaves room for the aircrafts to gate very close to the building’s windows, “says Partner John Lassen, Schmidt Hammer Lassen. At the end of the building there is a gate with two jet bridges to operate the Airbus A380 aircraft. The facade is in black with black trapezoidal plates that also runs past the windows creating a gentle light inside the lounge. 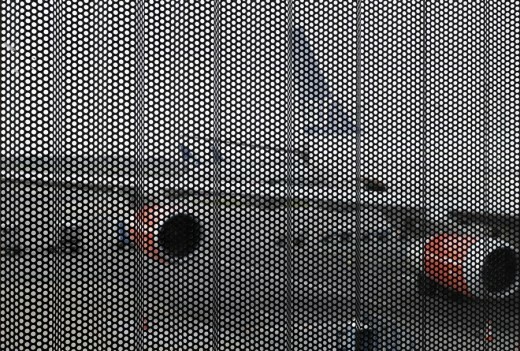 The cut-ins and jet bridges stand as a contrast in white. Inside, a “gate boarding” concept has been established for additional capacity and service allowing gate and lounge areas to merge, which not only save time and reduce walking area, it also provides passengers a better experience. 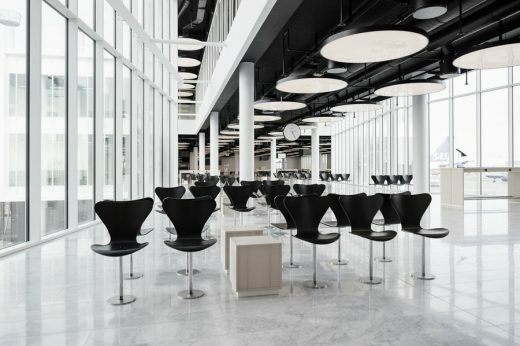 “The black exterior embraces the light interior, where one moves like on a cloud with white marble floors and a light, calm, rational and typical Scandinavian décor. We have created a subdued, contemplative mood, so you can relax before a long haul flight, “said Project architect Mads Engel, Schmidt Hammer Lassen. The calm atmosphere is further highlighted in the arrangement of seating, where on the basis of ‘nudging’ principles seating is divided in small groups, luring the passengers to take use of the whole lounge area. 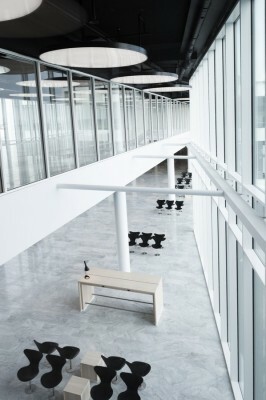 “As an example, the classic Arne Jacobsen design chairs are only upholstered in the areas along the walls, and different zones are designed with family furniture or high standing workstations,” says Architect Nanna Wohlfeldt, Schmidt Hammer Lassen, who has worked in close collaboration with the client and furniture makers Fritz Hansen and Jönsson on the interior design. The lighting is subtle except at the large windows in the cut-ins where daylight flows freely allowing a dramatic view to the aircrafts standing with the bow up close. 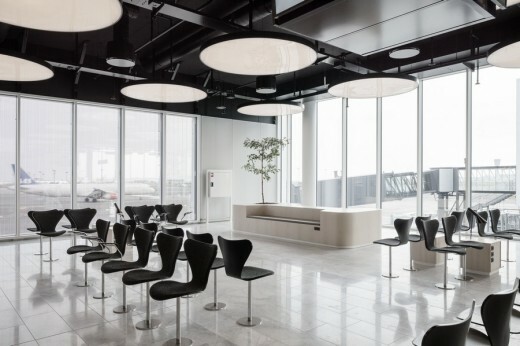 The grand circular lights are the building’s DNA defining the spatial waiting area and draws reference to the original airport design in Terminal 2. 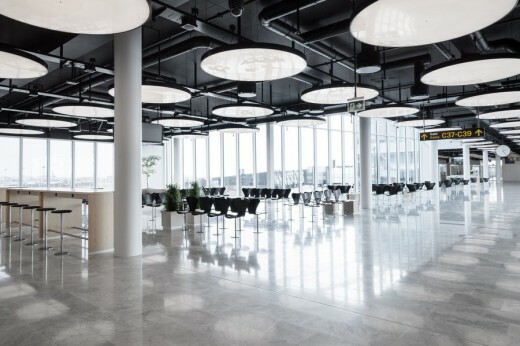 Schmidt Hammer Lassen have experience in the design of airport construction from, among others Oslo Gardermoen Airport in Norway and Aalborg Airport terminal building in 2001, which has since been extended twice, based on the practice’s terminal design.